When it comes to writing, I begin by teaching children letter formation without a pencil or pen. 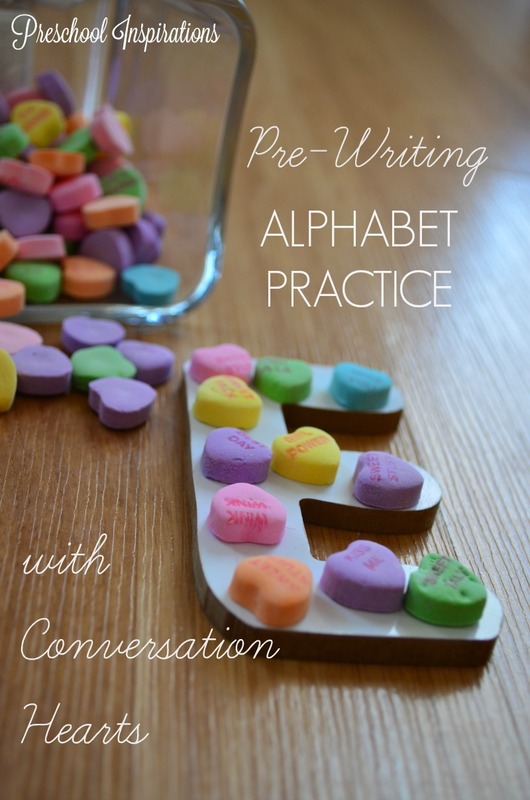 Instead, we do themed activities just like this pre-writing alphabet practice with conversation hearts. Candy hearts are so fun to play with that I always make new games with them each year. And the great part about picking up candy hearts is that it is helping children develop the exact same muscles they will need to properly hold a pencil once the time comes. For the record, children who already write will love this activity too. 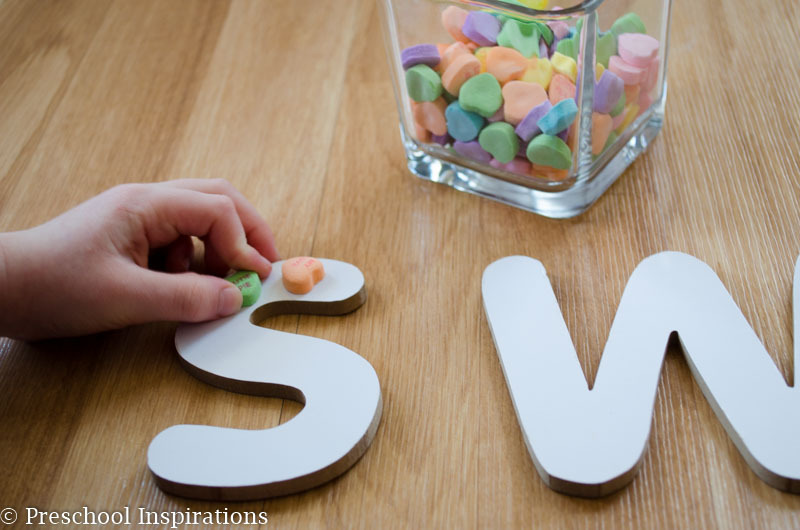 The great part about this activity is that you can do it over and over each month, but by simply swapping out the candy hearts with something else, it seems fresh and new. Take a peek at how I do it in the fall. The prep for this is so minimal if you already have the materials, which makes it easy to whip up on any busy day. If you don’t have the wooden letters that I have, you can just write the letters on a surface (I explain more below) or use alphabet cards! If you don’t have the trace and write letters , you can still accomplish the same idea with a board and chalk markers. 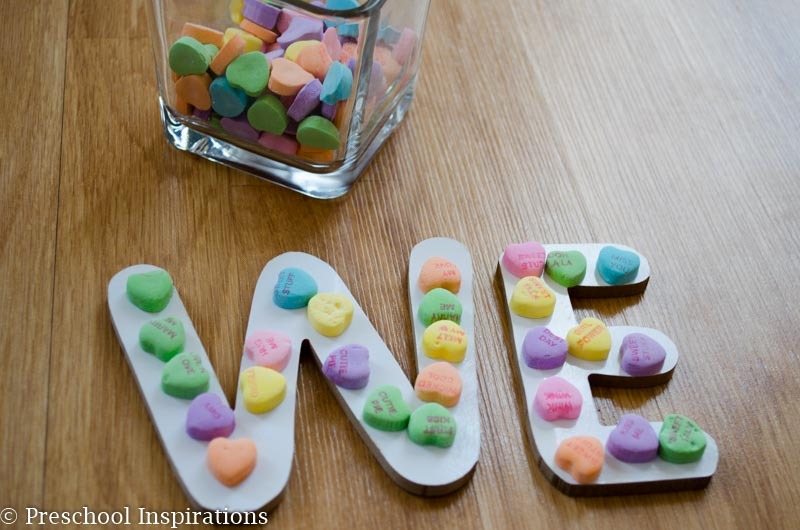 Just use a chalkboard, dry-erase board, or a mirror and write the letters with a chalk marker. 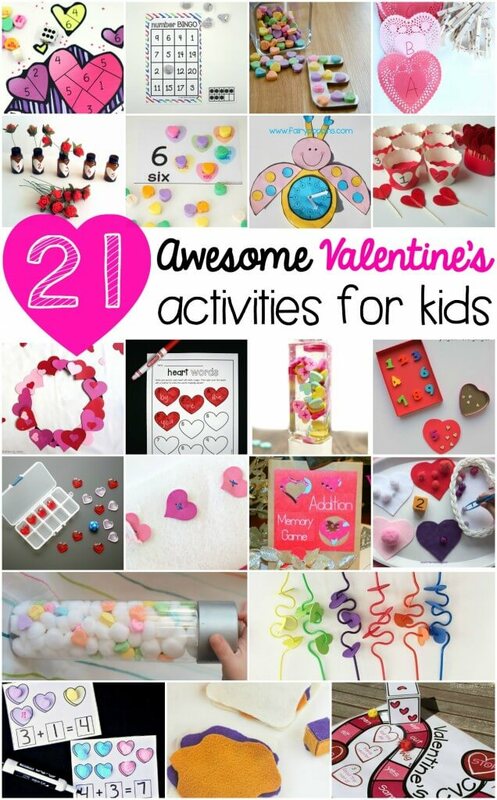 Now here are 20 more awesome activities to do for Valentine’s Day!